Data from the detector or its IntelliDox docking station is downloadable to a PC, where it can be aggregated and managed through Honeywell’s Safety Suite software platform to automate key compliance tasks like regulatory records management. Can detect up to 14 user-selected common and exotic gases. User-friendly operation, lightweight convenience and ease of maintenance and serviceability can lower long-term ownership cost of a gas monitoring system. The IntelliDoX system combines smart docking modules and Fleet Manager II software to provide automated instrument management for BW™ Solo, BW™ Ultra, BW™ Clip Series, BW™ Clip4 and GasAlertMicroClip Series gas detectors - helping you drive productivity, reliability and efficiency. Yes we do. If you have any questions about training opportunities for yourself or your staff and would like to talk to a Honeywell representative, click here. 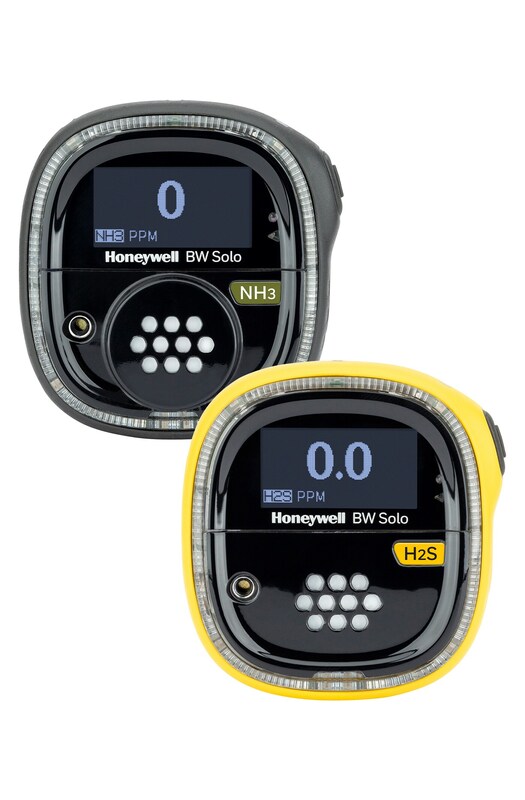 The Honeywell BW™ Ultra is a five-gas detector from Honeywell that is designed specifically for sampling and monitoring confined spaces, before and after entry. It benefits from unmatched sensor technology, visibility on gas readings, comfort, and connectivity – even in most extreme working conditions. The Honeywell BW™ Ultra simultaneously detects the four gases you’re required to monitor in confined spaces. Plus there is a fifth sensor for the gas of your choice. This way you can add a fifth level of protection for your confined-space entries. The industrial Honeywell BW™ MicroClip Series is the world’s most popular multi-gas portable detector, delivering long runtime and reliability — plus small size, low cost and the easiest user experience. Download the latest firmware, drivers and software packages. With the latest software and firmware for your BW™ Solo installed, you made sure that you have the highest level of protection, while the newest features and functions allow you to be more productive than ever before.